After giving a talk on the Eight Verses on Mind Training, His Holiness met with the local Tibetan community and spoke to them directly in Tibetan. He began by thanking Capital Area Tibetan Association and the Tibetans living in the region for all their good work. He also mentioned the important organizations in the DC area, which are greatly benefiting the Tibetans: the International Campaign for Tibet (ICT), the Voice of America (VOA) and Radio Free Asia (RFA), all of which are helping to create a true picture of what is happening with the Tibetans living in Tibet and abroad. 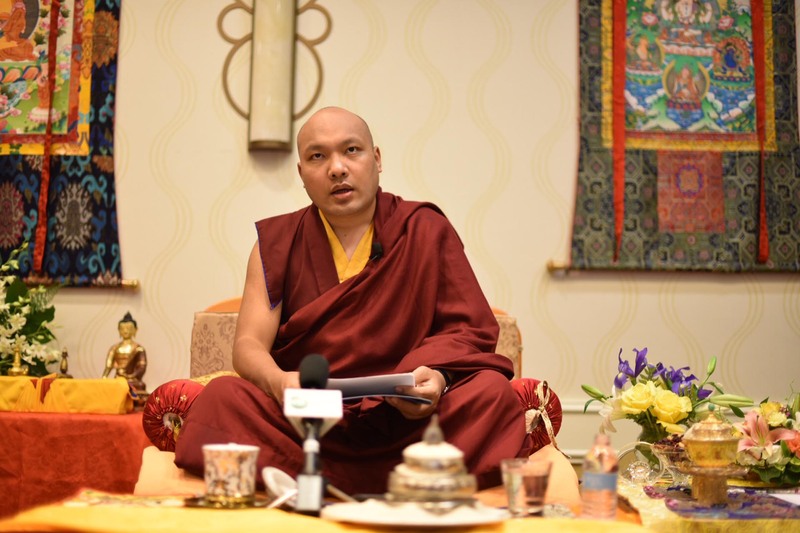 The Karmapa prefaced his remarks by urging the Tibetans to recall the situation in Tibet that forced them to leave. Why was it they had to become refugees? He then turned to the critically important topic of all Tibetans maintaining good relationships with each other. If we look at recent Tibetan history, he pointed out, we can see periods of darkness when people in Tibet have suffered terribly. It is safe to say that the Tibetans living abroad have not known such misery. This makes it even more important that all Tibetans live in harmony with each other. In particular, people have become strongly identified with the idea of belonging to one of the three regions of Tibet (Central Tibet, Kham, and Amdo), and the Karmapa urged them to relate amicably with each other and take the broader view of considering` themselves to be one people. They should train in thinking of the Tibetan people as a whole. We must work, he said, to make this a stable view and guard it at all times. In general, it is not easy to create a harmonious group, he noted. It is difficult, if not impossible, to listen to and follow the opinion of each person. On the other hand, to make everyone the same is also not feasible. We can, however, remain in harmony with each other. 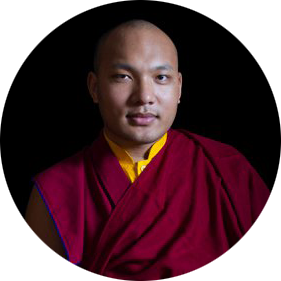 The Karmapa then turned to his personal history, relating that when he was growing up in the remote region of his homeland, the idea of a single Tibetan people did not exist. He recalled that they called themselves Khampas (a term for the eastern Tibetan cultural area), and those who lived in Central Tibet around Lhasa were called Tibetans. The Khampas, he remembered, said things about the Central Tibetans that were not very nice and it was probably better not to repeat them here. Since parents had passed along to their children the idea of these three regions as separate entities, the Tibetans lacked the concept of their people as a whole. The Karmapa remarked that he had had doubts about this term “the Three Regions,” so he asked authorities in Tibetan history about it. It seems that Chogyal Phakpa (1235-1280) had used the term, but that was a way of talking about something from hundreds of years ago. How could a label posited so long ago help us now? We need a long-term and reliable historical source for the word, the Karmapa stated, but that does not exist. He then suggested that one could look into the actual size of these three areas. However, if you ask, “How big is Central Tibet? What are its exact dimensions?” no one can answer. It is the same for Kham or Amdo. Since there is no clear answer, what is the basis for giving names to these three areas? From another angle, the Karmapa proposed, we can see that the term the Three Regions has been used a lot, and this repetition in itself has created partisan feelings. People think, “I’m a Central Tibetan.” “I’m a Khampa.” “I’m from Amdo.” Tibetans have become habituated to this usage without thinking much about it. 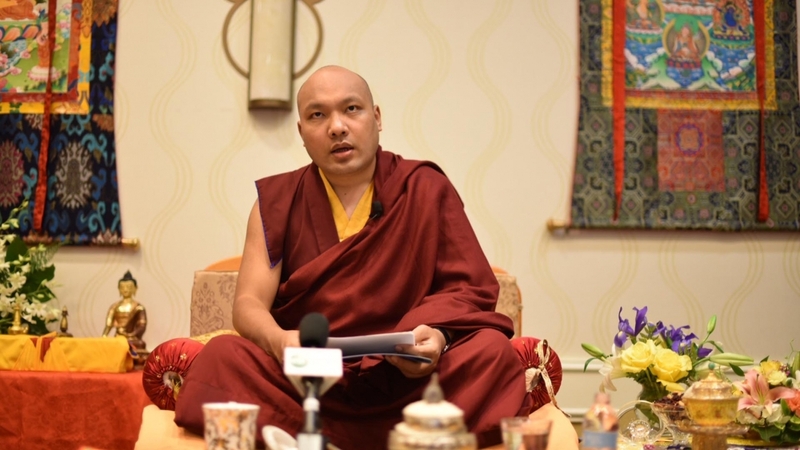 The main thing, the Karmapa counseled, is not to follow what our parents did, but to use our own minds to reflect and observe how such bias arises. From the point of view of a mahayana practioner, the Karmapa continued, the Dharma does not support the fostering of divisions by thinking “This is my side and that’s yours,” and on this basis, letting anger and attachment arise. In the mahayana, we develop the view of equality that sees all living beings without prejudice; we seek to reduce our partiality, anger, and attachment and finally become free of them. Not doing this is especially destructive, the Karmapa asserted, if we consider the desperate situation in which Tibetans find themselves these days, and yet knowingly, we Tibetans still act in ways that make our plight worse. So we must use all our mental resources to consider this situation, the Karmapa counseled, and know clearly what we should leave behind and what we should take up. The lamas teach us this, but we do not follow their advice. Right now it is critical that each person examine their own mind and see what to adopt and what to reject without making mistakes. The Karmapa also spoke of His Holiness the Dalai Lama and how hard he has worked over the years to support the cause of Tibet—his activity is inconceivable. And still, we do not follow his advice. Sometimes, the Karmapa remembered, that he had had the good fortune to visit His Holiness and previously, he would emphasize the larger picture, encouraging the Karmapa to think in a vast way. His Holiness would say, “Don’t let your mind be small. Don’t let it shrink.” But to be honest, the Karmapa said, sometimes he was a bit disappointed. He would say that from his young years until now he had worked hard, but these days, it seemed that all this effort had not brought much benefit. So we need to think about this, the Karmapa urged, and not only in relation to His Holiness. We need to think critically about what we have inherited from our parents and think seriously about the future and where this feeling of partisanship among the Tibetans of the three areas will lead us. The Karmapa also spoke about the importance of the Tibetan language. Among Tibetans there is a lot of talk about Dharma and Tibetan culture, he remarked, but actually the root of these two is the spoken and written language, which must be preserved. The Tibetans who live outside Tibet have had a very hard time sustaining their language, as he has learned in meeting many of the Tibetans who were born and grew up abroad. This is a very sad situation, he said. It means they have not been able to carry the responsibility of preserving their culture. Tibetans tend to talk a lot about outer circumstances but not so much about how to work and accomplish projects. The most important thing for people is their children but outside of that, there is not much that catches their interest. From another point of view, the situation of Tibetans, in fact, is not easy, he conceded. Given their surroundings, it is difficult to learn Tibetan well. It is also true that people have not made great efforts to find a means to correct this situation. So it is important that we discuss how to learn Tibetan well. These days, there are many non-Tibetans who take a great interest in the Tibetan language. Some say that there are more foreigners studying Tibetan seriously than Tibetans themselves. I do not know how true this is but many people from the West and the East come to me and say they want to learn Tibetan. Some are in their forties and fifties and they still ask, “To know Dharma well, do we need to learn Tibetan? If so, I’ll study it.” Sometimes I try to stop them and say, “Oh it’s very difficult and takes a lot of time. You’re already forty or fifty and if you focus on it, you’ll use up the time remaining in this life,” yet they still want to learn. It is a strange situation. Foreigners are pressuring me to learn Tibetan, and we are saying to the Tibetans themselves, “Please, please, learn your language.” The situation should be reversed. It is crucial that we study our written and spoken language, which is also belongs to a small group of languages in which Buddhism has been transmitted. It is a fact that language learning comes about in dependence on situations and we must influence these in a positive way. Parents must make efforts so that their children can learn Tibetan. They must be the teachers. The Karmapa concluded by saying that everyone has to take responsibility—the Tibetan society in general, each household, and all friends, whether female or male.